It’s July and Leica just confirmed that I can pick up a sample of the new LEICA Q (Typ 116) digital camera at their headquarters tomorrow. I became eager to try one after reading Dan Havlik’s hands-on, first-look review last month. Leica is allowing me to borrow the sample for exactly six days. 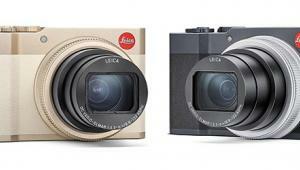 Here's my look at this intriguing but expensive new full-frame, compact camera from Leica. And please take a look at the full resolution sample images I shot with the Leica Q included in this review. Physically, the new Leica Q is very similar to the much beloved Leica M4 film camera of yesteryear and is slightly (8mm) shorter in length but a little (3mm) taller. 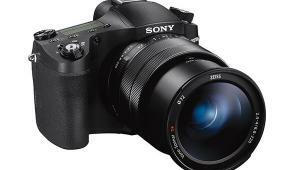 Fitted with a non-zooming 28mm f1.7 Summilux lens, the camera is manufactured in Germany and has a feel that is as luxurious as any device you’ve ever handled. The top plate is milled from a solid chunk of aluminum and the body is titanium alloy. 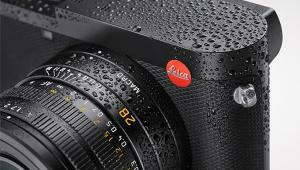 All in, the Leica Q weighs 640 grams (a bit more than a pound and a half). 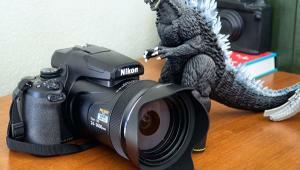 By comparison, my Nikon D800—without lens—tips scales at 1000 grams even. 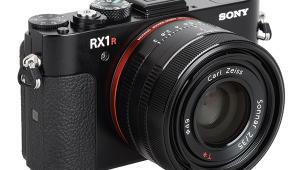 Both cameras are full-frame sensor type. Operating the Leica Q is straightforward and familiar—very similar to my Fujifilm X100. When the shutter speed selection dial is set to A and the aperture selection ring (on the lens) is set to A, the camera is in Program Mode. Shift the shutter speed dial to the position of your choice and you are in Shutter Priority. Using the shutter speed you select, the camera responds with the appropriate aperture setting for correct exposure. Likewise, if you move the aperture ring to an f/stop setting, the camera changes to Aperture Priority Mode and the camera selects the shutter speed required for proper exposure. Nothing could be easier or more simple. Yes, it’s possible to accidentally set either dial, or inadvertently leave them in a position other than the big red A, but that’s the risk with any camera. As detailed elsewhere in the review, the slope of the Program, i.e., the pairs of aperture/shutter speed settings selected by the camera, seems overly biased toward large apertures (and consequently, faster shutter speeds). I found best practice to be using Aperture Priority for greater control over depth-of-field, critical (and fun) when using a fast, f1.7 lens. Apparently I carry the camera in an unorthodox manner (suspended from my left shoulder by the supplied leather neck strap) because I inadvertently changed the diopter correction dial five times in six days. It’s located next to the eyelevel viewfinder and rotates rather easily. You discover those kinds of mistakes the hard way—when you raise the camera to your eye and everything looks fuzzy, even though focus is correct. The viewfinder, on the other hand, is a joy to behold. 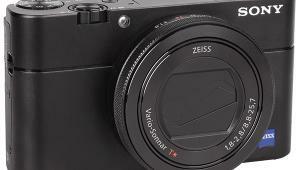 The electronic 3.68-megapixel VF automatically activates when the camera is brought up to shooting position. The touch-sensitive rear panel LCD monitor is no slouch, either, measuring 3-inches diagonal and comprised of 1,040 dots. Being able to select a focus area by touching it on the LCD is a great feature, but the eyelevel EVF is so good that you’ll have a difficult time shooting any other way. If you leave the focusing ring set to AF, the camera focuses automatically. The Contrast-Detection type AF is extremely fast. Leica claims it’s the fastest in the compact, full-frame camera class and it very well might be—it’s delightfully accurate, too. Also, you can select which subject to focus on by touching its likeness on the LCD. 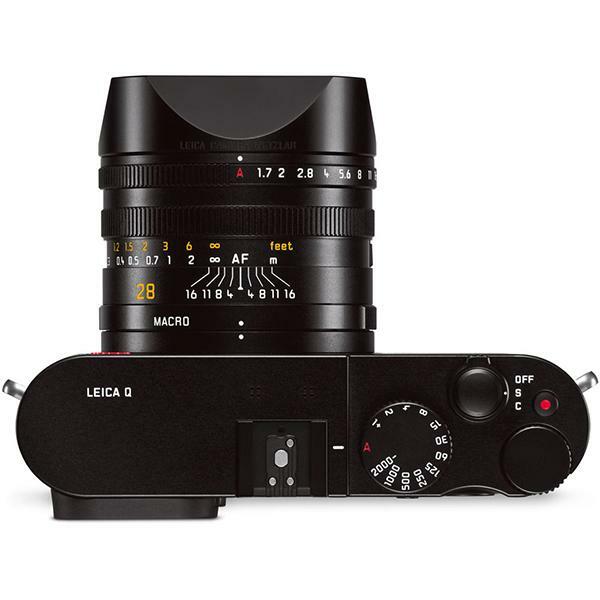 Manual focus is an option, of course, and the Leica Q provides two focus aids, an effect implementation of the very popular Focus Peaking and a zoom magnification. 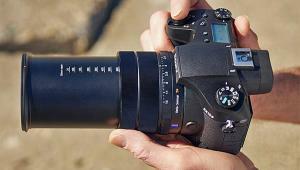 Minimum focusing distance is 30cm (that’s 11.8 inches for us change-resistant Americans). Macro focusing is invoked by twisting a ring on the lens barrel, reducing the minimum to 6.7-inches, or 17cm. I have mixed emotions about the Macro ring because I could not activate it while holding the camera at eyelevel. During a stint at a Farmer’s Market, for instance, I switched in and out of Macro with regularity, and each time I had to lower the camera, turn the ring and then raise the camera back to my eye. An intriguing feature that the Leica Q brochure calls “Framing Selector” can be found on page 172 of the Owner’s Manual under the unlikely heading of “Changing Trimming.” Most of us know it by yet another name, Digital Zoom. Only this version has an interesting twist. 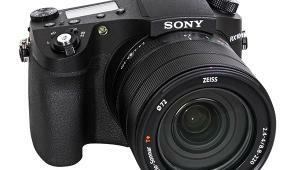 The two preset zoom positions correspond to the field-of-view matching your choice of a 35mm or 50mm lens. Seasoned Leica users will appreciate the nuance—for many of us, back in the Leica M film days our entire lens arsenal consisted of 35mm, 50mm and 90mm lenses. 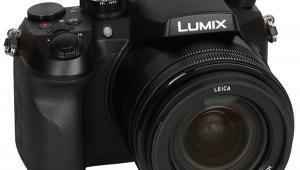 If you use this digital zoom feature and later regret it, no matter—the entire full field as rendered by the 28mm lens is saved as a DNG file. A Function button, marked FN, can be programmed to perform one of nine menu calls so that a single press facilitates accessing that camera operation. 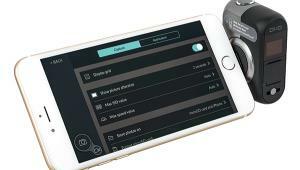 One of the following functions can be stored in the FN button: White Balance, Exposure Compensation, Flash Exposure Compensation, Exposure Bracketing, Scene Program/Exposure Modes, Photo File Format, Exposure Metering Method, WLAN or Self-timer. Download the Leica Q app (free for Android or iOS) and turn a smart phone or tablet into a remote control and capture device. Change shutter speed and aperture and of course snap the picture while viewing it on the mobile device’s LCD. It’s also possible to upload images for storage. It’s refreshing to see something as modern as Wi-Fi seamlessly blended into a camera that is built on a long and sterling heritage and brave history. Images captured with the Leica Q are extremely good. The JPEGs are nicely processed by the Maestro II image processor. Results at ISO settings 3200 and below are simply amazing. Color rendition is rich and faithful, and sharpness is extraordinary. Skin tones are accurate. It’s clear that the 28mm f1.7 Summilux lens is a perfect match for the 24-megapixel, full-frame CMOS sensor. The lens is outstanding, there’s no better way to say it, but I’m sure there will be some who say they’d prefer a 35mm lens. ISO is selected from a menu that appears on the LCD when the dedicated button is pressed. Settings as high as 50,000 are possible but not advisable. At ISO 12,500 and above, images are grainy and at 25,000 and above, mottled with distinct horizontal banding. At 3200 and below, noise disappears and the images are silky smooth. The Program Slope – that is, the combinations of f/stops and shutter speeds automatically selected at various light intensities – seems strongly biased toward larger apertures and faster shutter speeds instead of more middle-of-the-road combinations. For example, I found myself shooting outdoors in open shade wide open at f1.7 and 1/800th second. The camera could just as easily used a shutter speed of 1/200th second and closed the lens down a couple stops. I asked Leica for program slope information, but it’s not yet available. The downside to this situation is less depth-of-field, all else being equal. In addition to capturing stunning still images, the Leica Q can record Full HD 1080p video at up to 60 frames per second. 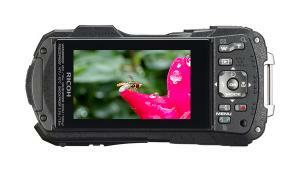 It also offers a useful Continuous Shooting mode that can capture a series of still images at 3, 5 or 10 fps. To switch the camera on, the user rotates the Power Switch clockwise from Off to one of two On positions. The first detent is marked S for Single. That’s the one you want probably 95% of the time. Moving the switch a very short distance farther lands you in the C or Continuous mode. You can guess what’s coming—I slipped past S many times and ended up shooting a continuous burst when I meant to shoot only one shot. No damage done, but annoying nonetheless. The Leica Q supports DNG Raw in addition to JPEGs, and includes access to a free download of Adobe Lightroom. Intuition suggests to me than many of the customers who are likely to buy a Leica Q already own Lightroom, but no matter—it’s good that Leica includes it. Flash synchronization is 1/500th second. The Leica Q has a hot shoe and the Leica SF 26 flash is the recommended EFU. 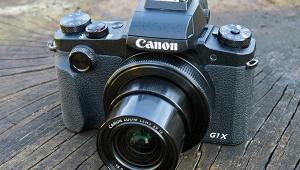 It has a guide number of 24 (ISO 100) and is nicely designed to rise well above the lens axis to mitigate red-eye. There is no built-in flash. 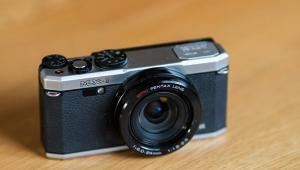 Considering all of the specifications and characteristics, this camera is perfectly suited for street photography. The lens is an ideal focal length at 28mm and the f/1.7 wide-open aperture is just right for photography noir. The combination of full frame format and large aperture enable deft control of depth-of-field, making it possible to isolate a main subject from a cluttered background (as I have done in a couple of these Farmer’s Market photos). The bokeh, or area that is intentionally out of focus, is pleasant and desirable. One thing I really don’t understand is the lens hood. It’s included (that’s good) but to use it one must unscrew a ring from the front of the lens, find a safe place to store the ring and then screw the lens hood on. When you find a home for the ring you removed, you might as well put the lens cap there, too, because it does not fit with the lens hood in place. This probably says more about my ineptness than the Leica Q’s design, but it’s possible to stop screwing the lens shade on before it reaches the right position, because there is no indication of where to stop. The Owner’s Manual advises thusly: “Twist on the lens hood by turning it clockwise until it stops.” Call me old fashioned, but I’d much prefer a detent or other clear indication. The Leica Q is everything we expect a Leica to be. It’s amazingly well made; the build-quality and physical appearance are remarkable. It also produces images of exceptionally high quality. It has its peculiarities, for sure, like the bewilderingly poor lens hood situation, but then eccentricity often comes side-by-side with genius. The price of the Leica Q with strap and lens hood is $4,250. For some this price is an insurmountable barrier, for others it’s an affordable entry fee into the rarified and wonderful world of Leica photography. Jon - was surprised so many of your images utilized wide-open aperture settings (at or around f/1.7). Obviously the lens is very capable in lowlight situations, but I would have expected you to take the camera off Program mode and test the depth of field that would result from smaller apertures such as f/8 or f/11. Also curious whether you found the fixed lens to be restrictive in situations where you might have wished for even a short zoom range. When does Shutterbug believe the Leica Q will be released into the main retail stream? The delay in doing so seems surprising.